carpentry | Interior Images Ltd. Character Counts, and this Chair has It! This little chair may not look like much, but that assumption is blown to pieces the moment you sit down. It is worn smooth by untold years of use. 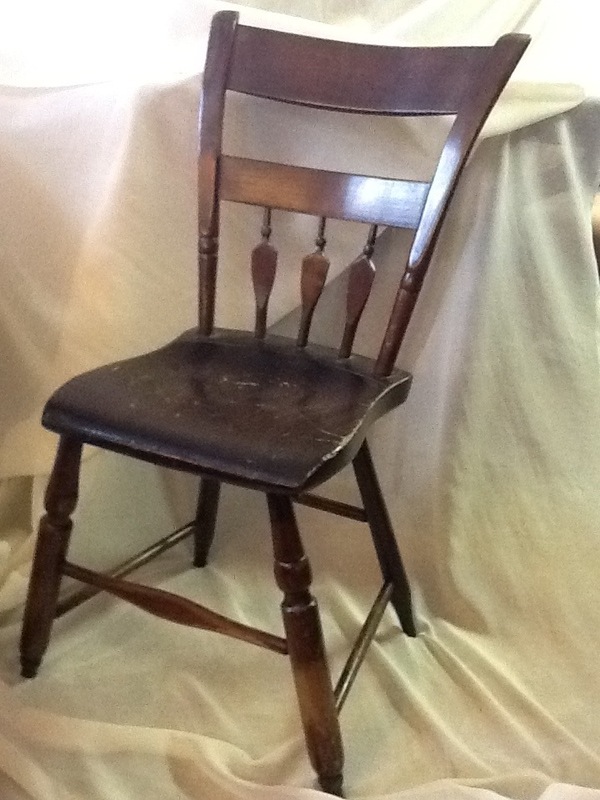 The strength of this chair, however, belies its age. While being simply made, with no elaborate joints etc, it is solid as the Rock of Gibraltar (and much easier to move). The secret to this stability lies in part with the seat base – it is one piece of wood. It’s basically a cross-section of a trunk, and gives one the feeling of sitting on a stump – a stump with legs and a back. Pick up this bit of history of homesteads for a song, or, more specifically, $25.